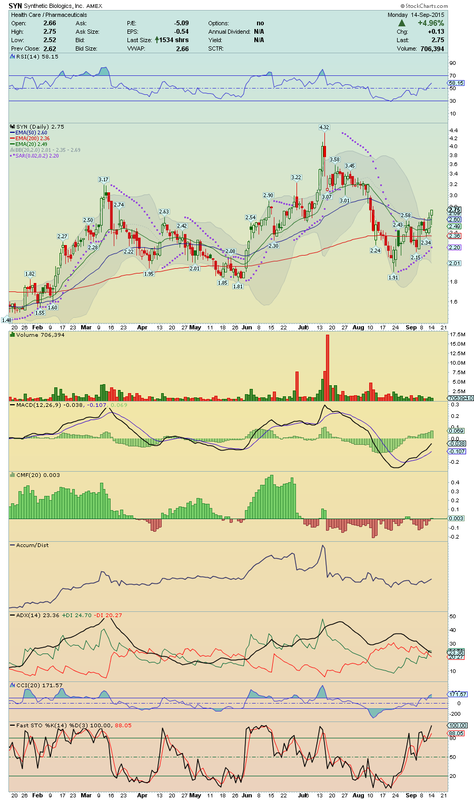 VHC ---> This stock made a strong Breakout with high volume, crossing up its 20EMA and also, it closed the Gap!! Technical indicators are showing a strong Momentum, which leads me to believe that its 50EMA should be reached easily! Shorts will have problems!! 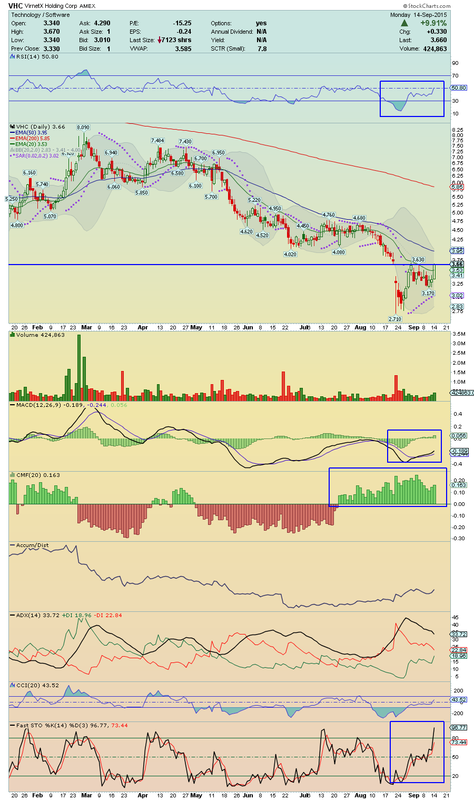 Watching for continuation tomorrow!! 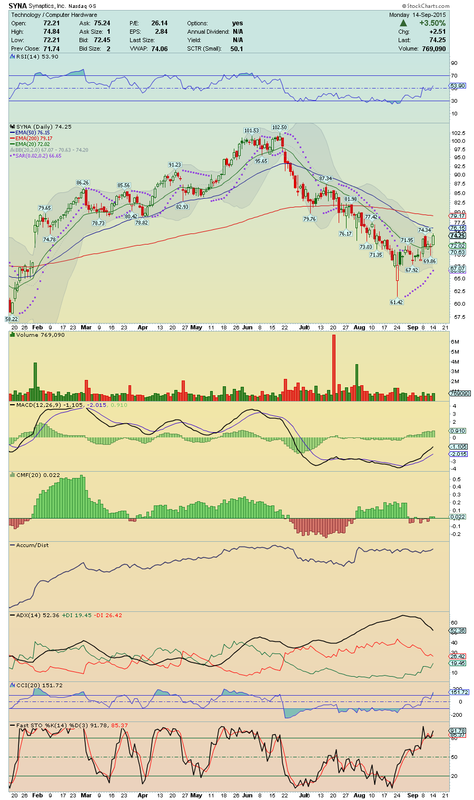 IDRA ---> Following my last Blog Post, i think it's more than fair continue to follow this stock, now that it broke above its Upper Bollinger Band Line and above its 200EMA! 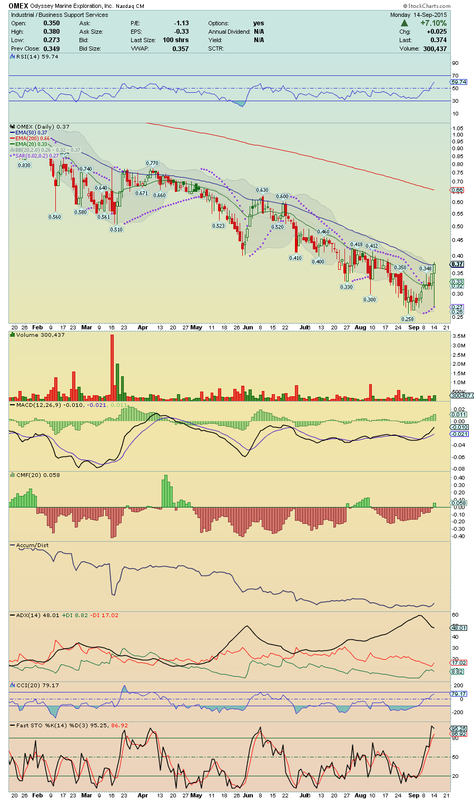 It has the door open for a Big Short Squeeze with initial target its Down Trend Line! It looks strong day by day!! Careful here, Shorts!! 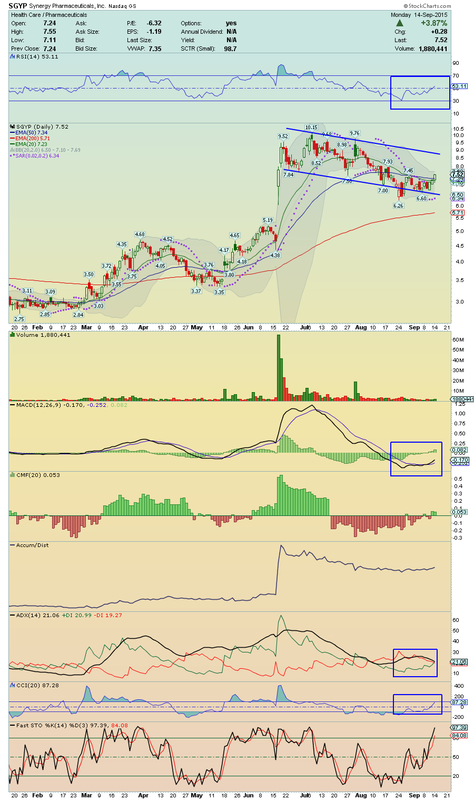 SYN ---> Trading above all EMAs and above its Upper Bollinger Band Line, this Gapper Candidate has a large and free room to run up!! The Momentum seems strong, with its RSI, which is moving up in a comfortable area, and its Bullish MACD Crossover, both giving a strong Buy Signal!! Also it is trading under high Buying Pressure!! North seems the way so far! 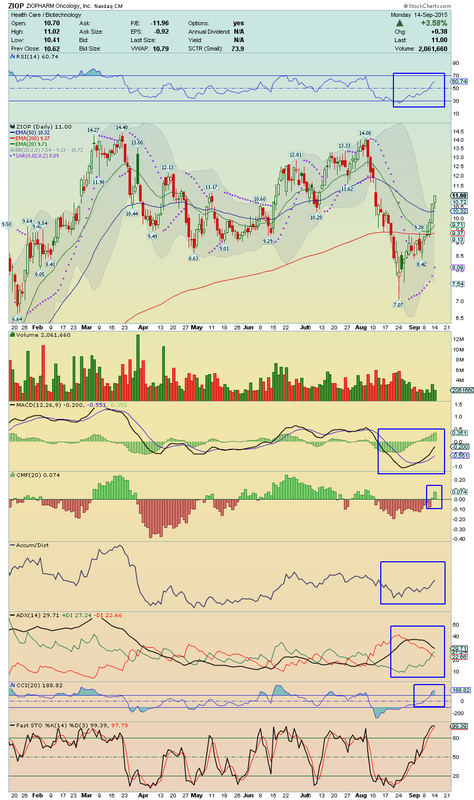 Keep this in your Potential Upside Runners watchlist!! 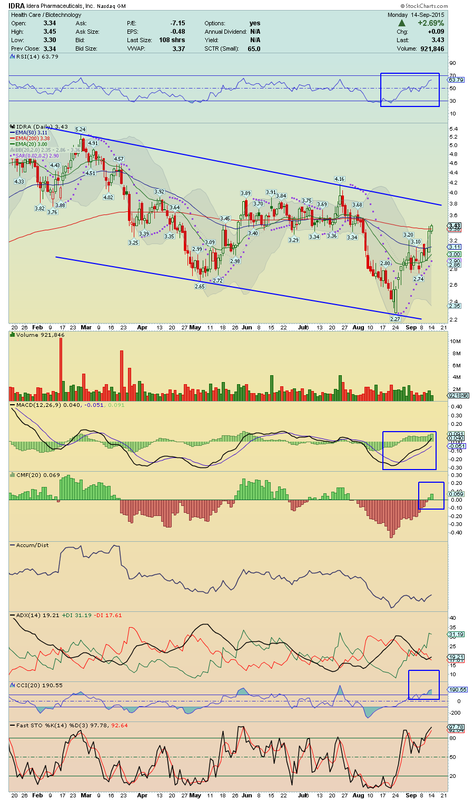 OMEX ---> Tiny name but with a very interesting chart!! This stock seems ready to make a powerful upside run!! 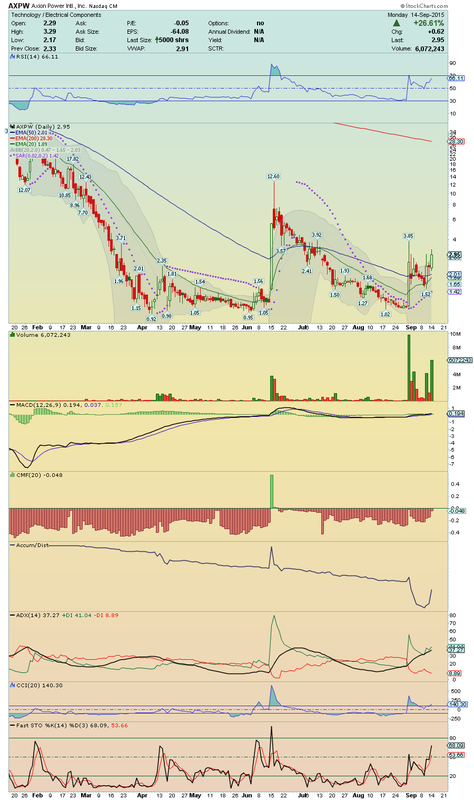 Worth watching over $0.38! !